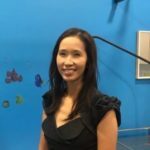 Background – Dr Phan graduated from the University of NSW and has been in general practice since 2007. He enjoys general practice as it gives him the opportunity to interact with patients of all ages and cultural backgrounds. Special Interests – He enjoys preventative health, looking after children and pregnant women. Background – Dr Jessie Huang is a fellow of Royal Australian College of General Practitioners and a graduate of University of NSW. She has worked at many medical clinics throughout Australia. Special Interests – She has interests in women’s health, travel medicine and preventative medicine. Personal Interests – Outside of work, she loves to travel. Background – Dr Ruberu graduated from University of Tasmania in 2002. She worked in the United Kingdom in several tertiary hospitals as well as in the Alfred Hospital in Melbourne and Royal Prince Alfred Hospital in Sydney before commencing her specialist training as a General Practitioner. She qualified as a Fellow of the the Royal College of General Practitioners in 2009. She has worked in several general practices around Sydney. Special Interests – Her special interests include women’s, child health, mental & preventative health. Background – Dr Lara Monaghan graduated from the University of Sydney in 2012. 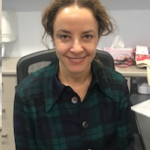 She completed her hospital training at Hornsby, Manly and Westmead Children's Hospital, and has recently qualified as a Fellow of the the Royal College of General Practitioners. She has further training in children's health and family planning. Special Interests – Women's Health, Sexual Health and paediatrics. Personal Interests When not working, she enjoys travelling and playing tennis. Background – Dr Salie Greengarten has worked as a general practitioner in Lane Cove for over 30 years. Special Interests - He is interested in all aspects of general practice. His special interests are Chronic Disease Management, skin checks, minor surgical procedures, Veteran's Care and men's health. Personal Interests - Outside of work, he enjoys spending time with family and travelling. Background – Dr Fiona Napier-Flood graduated from the University of Notre Dame in 2012. She completed her hospital training in Westmead, Auburn and Westmead Children's Hospital. She has worked in several general practices across Sydney. Dr Fiona Napier-Flood also has further training in Children's health. Prior to medicine, she completed a PhD in Pharmacology at the University of Sydney in 1993 and worked in medical research for over 15 years. Special Interests – Weight management, Diabetes, mental health, preventative health and paediatric health. Personal Interests - Outside of work, she enjoys travelling, spending time with her family and encouraging others to lead a healthy lifestyle. 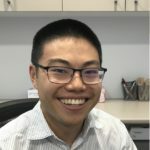 Background – Dr Chippada has practiced extensively both as a GP in North Ryde as a senior doctor in various public and private hospitals in Sydney, working across emergency, geriatrics and rehabilitation departments. Special Interests - Pre-employment and insurance medicals, Work Cover medicals, children's health. 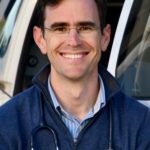 Background – Jeremy Robertson is a Designated Aviation Medical Examiner (DAME) and is available to conduct CASA Class1, Class 2, and Class 3 aviation medical examinations. Prior to commencing a career in medicine, Jeremy worked as an airline pilot for nine years, accumulating 8,000 hours across a wide range of aircraft. He continues to fly at every opportunity as a private pilot, including flying himself out to Temora and Cowra once a month to offer aviation medicine services to these towns. Background – Dr Tong graduated from University of Tasmania, with a couple years experience in the Rural Clinical School in Burnie, Tasmania. 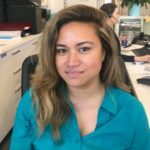 She enjoys General Practice, because of the opportunity to work with each person in the community to be their healthiest and happiest version. Special Interests – She is interested in all aspects of General Practice. Personal Interests – Outside of work, she enjoys cooking, running, drawing, travelling, modelling. Background – Dr Marta Chris Teixeira graduated with an MBBS from the University of Western Australia. She has also completed a Diploma in Children's Health. 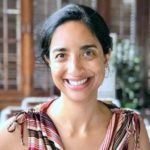 Dr Teixeira has worked in several general practice clinics in Western Australia, and worked for 11 years with a mobile medical clinic for the homeless and marginalised populations. Special Interests - Women's health, children's health, mental health and preventative health. Personal Interests - Outside work, she enjoys spending time outdoors, exercising and travelling. 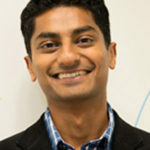 Background - Dr Shihab Hameed is a Specialist Paediatric Endocrinologist with clinical appointments as Staff Specialist at Royal North Shore Hospital and Sydney Children’s Hospital, Randwick. He completed medical schooling with Honours from the University of New South Wales, and sub-specialisation in Paediatric Endocrinology through Sydney Children’s Hospital, Randwick. He has also been awarded a PhD in Paediatric Endocrinology and Diabetes through the University of New South Wales. 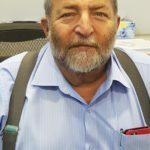 He has also practiced for many years as a Specialist in Paediatric Endocrinology across other sites including Campbelltown and Nepean Hospital. Dr Hameed has a strong track record and interest in clinical research and has been awarded many competitive research grants including from the National Health and Medical Research Council of Australia (NHMRC). He is a Conjoint Lecturer at the University of New South Wales, and a Clinical Senior Lecturer at the University of Sydney. Special interests - Dr Hameed has expertise in the management of growth disorders, puberty issues, adrenal dysfunction, pituitary and thyroid abnormalities, obesity, insulin resistance, polycystic ovary syndrome, diabetes mellitus, insulin pump therapy and continuous glucose monitoring. Personal interests - Outside of work, he enjoys bushwalking and kayaking in the local area, and spending time with his family. Special Interests - pediatrics, chronic disease management, preventative health and minor procedures. Background – Patrick graduated with a Masters in Physiotherapy from the University of Sydney in 2012, with previous degrees in Exercise & Sport Science (UWS) and Clinical Rehabilitation (USYD). Patrick has over 10 years’ experience in rehabilitation and injury management. He has worked as a qualified Personal Trainer in a gym based setting as well as an Accredited Exercise Physiologist in the Occupational Health Industry. He has worked with elite level athletes including the NSW Men and Women’s Volleyball teams. Having attended numerous seminars and conferences around the world, Patrick is up to date with the latest research and best practice to ensure your health related goals are achieved in the most effective manner. 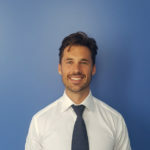 Special Interests – Combining ideologies from both Eastern and Western philosophy, Patrick provides a patient-centered approach to healthcare that empowers his patients to make effective decisions to achieve an optimal recovery. He advocates an active approach to rehabilitation and facilitates natural healing processes of the human body. Key areas include Postural Pain, Sporting Injuries, Chronic (Persistent) Pain, Occupational Injuries and Musculo-Skeletal Pain. Personal Interests – In his spare time, Patrick enjoys reading philosophy, keeping fit and composing music. Background – Jess graduated with Masters of Physiotherapy in 2012 from the University of Sydney, and also completed undergraduate study in Exercise and Sport Science in 2007. Jess has also undertaken further training in Dry Needling and Shoulder courses. 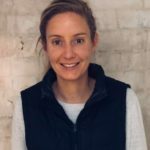 Special Interests - Having had a variety of sporting injuries over the years, Jess has a particular interest in the in-depth analysis of the causes of injuries, looking at the patient holistically and viewing the person as a whole, not just focusing on the injury area. The goal of her treatment is to combine Physiotherapy and Exercise management to achieve long term change. Personal Interests- Outside of work Jess enjoys watching sport, going out for dinner and travelling. 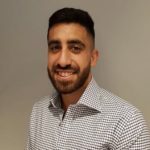 Background – Naim has completed a Bachelor of Health Science/Mastering in Podiatric Medicine from the University of Western Sydney. His experience covers alls scopes of podiatric care including biomechanical, chronic disease, paediatric and general podiatry. He has worked in many different settings including mobile podiatry, high risk in public hospital setting both local and internationally as well as having extensive private practice podiatry experience. His love of sports (including basketball and powerlifting amongst many other sports) has also fueled his interest in sports biomechanics in which is his most experienced scope of practice. Personal Interests- Outside of work, Naim enjoys playing basketball, powerlifting and travelling. 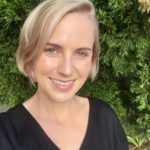 Background – Sara is an Accredited Practising Dietitian, having graduated with a Master of Nutrition and Dietetics from the University of Sydney in 2018. Prior to this she studied a Bachelor of Nutrition and Food Science at the University of South Australia in Adelaide. Sara aims to use the latest evidence-based dietetic interventions to work with patients to create personalised, mutual SMART goals and diet plans in order to achieve healthy nutritional and lifestyle change. With this patient-centred approach, she believes there is no one-size-fits-all intervention when it comes to diet and that involving the patient in developing these is crucial for sustained positive change. Special Interests – She welcomes patients with a range of conditions, with an interest in seeing patients with chronic diseases such as Diabetes, Heart Disease, as well as patients requiring weight management, after having seen a number of patients with these issues during her placement in Central Western NSW. 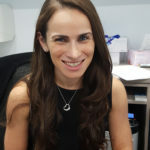 Furthermore, Sara has experience with and welcomes referrals for patients suffering from cancer, neurological disorders affecting swallowing, liver disease, malnutrition/sarcopenia, nutritional deficiencies, IBS and intolerances. She is also interested in working with new parents for infant nutrition and with parents and children to assist with fussy eating. Background – Susannah previously completed a Bachelor of Management in Sport and Exercise at the University of Technology and a Master in Clinical Exercise Physiology at the Australian Catholic University. Interests – Susannah has an extensive history in coaching and mentoring in swimming to young children and adolescents and those with special needs. Susannah has a wide range of clinical experience with the elderly, cardiac rehabilitation, metabolic conditions, various neurological conditions such as stroke, traumatic brain injury, Parkinson’s disease and Cerebral Palsy. Susannah can assist in achieving weight loss, functional and performance based goals and improving the quality of life of those with chronic conditions. Background – Florence works with both adults and children who require assistance in any area of communication, feeding and swallowing. 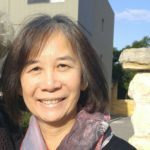 Florence is a Certified Practicing Speech Pathologist and member of Speech Pathology Australia. She has experience in working with children in the areas of feeding, language, speech, stuttering, disability and Autism. Florence has also worked with the adult population, ranging from disabiltiy, post stroke rehabiliation and research. She is currently participating in the Edith Cowan University VeRSE (Very Early Rehabilitation for SpeEch) as a research Speech Pathologist. 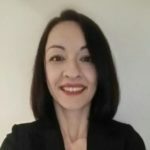 Interests –Florence is particularly interested in Paediatric Feeding and has worked within a School for Specific Purpose environments and provided therapy and ongoing strategies for clients with feeding difficulties. Background – Julie is a Clinical Psychologist who is trained in the assessment and treatment of a wide range of psychological and psychiatric conditions. Her aim is to understand, prevent, and relieve psychologically based distress and to promote wellbeing and personal development in her clients. 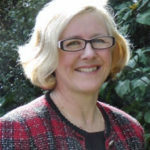 Julie is experienced in providing individual and group interventions to school aged children, adolescents, and young adults presenting with a range of emotional, behavioural and mental health conditions including emotion dysregulation, interpersonal difficulties, adjustment difficulties, anxiety, depression, and complex developmental trauma related to negative early life experiences and attachment disruption. Interests – Julie uses a combination of research-based psychological interventions to support her clients including Cognitive Behaviour Therapy (CBT), Dialectical Behaviour Therapy (DBT), Acceptance and Commitment Therapy (ACT), Bowen Family Systems Therapy, and Mindfulness skills. Julie has trained in both public and private mental health care settings such as Mood Disorders Unit at Northside Clinic, Pain Management and Research Centre at Royal North Shore Hospital, and Coral Tree Family Service - residential child and family unit for complex emotional and behavioural childhood problems at Macquarie Hospital. Another of Julie's interest is conducting cognitive/educational assessment for learning disorders, giftedness, developmental delay, and ADHD in children and adolescents. Sonja Temelkovski completed a Maters of Clinical Psychology at the University of Wollongong in 2001 and has worked as a clinical psychologist for over fifteen years for the Illawarra Area Health Service and Concord General Repatriation Hospital. 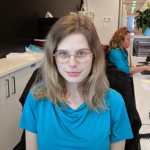 Sonja is a member of the Australian Psychological Society (MAPS) and the APS College of Clinical Psychologists. 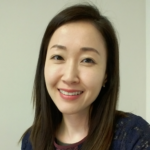 Sonja’s clinical experience includes providing assessment and treatment for a wide range of psychological and psychiatric conditions to assist patients to live in accordance with their life values. Sonja is skilled in the formulation of individualised care plans and the application of Cognitive Behavioural Therapy, Acceptance and Commitment Therapy, Dialectical Behaviour Therapy and Brief Psychodynamic Therapy. Sonja has worked with adults and the elderly who are experiencing challenges with acute/chronic anxiety and mood disorders, depression, trauma, relationships, personality, self-esteem and adjustment to challenging life events. Sonja ‘s hospital experience has included providing consultation to the neuro-rehabilitation team through mental health assessments and facilitating supportive psychotherapy and CBT interventions targeting anxiety, depression and adjustment to acute and chronic medical illnesses for patients and their families. Special Interests: Anxiety Disorders, Depression, Trauma, Health Anxiety, Grief and Couple’s Counselling, Chronic Disease Management. Personal Interest: Socialising with friends and family, travelling, fluent in Macedonian. Background : Denise is an adult psychologist, treating patients from 18 years of age onwards.She has worked in the public health sector and non-government sector providing counselling to a wide variety of clients from different cultural backgrounds. 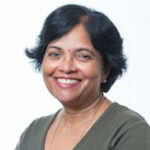 She feels that each client is unique and important.Therefore, a treatment plan is tailored to each individual's needs whether it be for short or long termcounselling. This is done in collaboration with the client in order to maximise the best possible outcomes from treatment. It is hoped that being able to communicate in a non-judgmental and relaxed environment, will provide the conditions needed to bring about exploration and positive improvement. Special Interests: Anxiety disorders and impulsive behaviours (specifically problem gambling), depression, stress management, life changes and transitions, grief and loss, relaxation and couples therapy. Denise is also approved by Medicare for pregnancy support counselling and provides counselling for post natal depression. Denises' therapeatic modalities include cognitive behavioural therapy, brief solution focused therapy, clinical hypnosis, acceptance and commitment therapy, supportive therapy, rational emotive behaviour therapy and schema therapy. Keziah is our full time receptionist. In her free time, she enjoys going to church and catching up with friends. Stacey is our part time receptionist. She is currently completing a Bachelor in Social Work. She enjoys travelling and spending time at the beach. Alex is our part time receptionist. She works between 2 of our sites. Her hobbies include learning to sing opera and nurturing her beloved cats. Tess is our newest casual receptionist.